There comes a time in every real estate investor’s life when he has to decide whether to operate his rental business by himself or turn the day-to-day workings over to a professional property manager. If you decide you need help, the next question is: How do you choose a property manager? Yes, they can be expensive. The going rate is 10-15 percent of the monthly rent, with the fee in some vacation home markets running as high as 40 percent. But the right one can be worth his or her weight in gold. Managers come in all shapes and sizes, from single individuals — usually real estate agents — who specialize in rentals to big companies to property management chains a la McDonalds and Subway. The services they provide will depend on your specific needs. Typically, though, they deal directly with tenants so you don’t have to. Remember, a passive investment isn’t passive if you have to work at it. So a good property manager will separate the operation side from the investment side, says Gary Beasley of Roofstock, an online marketplace where buyers and sellers trade in single-family rental properties. 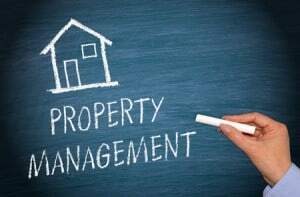 A good property manager will help you determine how much rent to charge, take applications from would-be renters, run credit reports on them, check their references, speak with their current and former landlords, and make sure they work where they say they do and make what they say they make. Some even use screening companies to make sure possible tenants are on the up-and-up and have not been evicted from other properties. Among other things, Reiss Properties in Las Vegas uses a detailed lease written for the company by a real estate lawyer, collects a security deposit and the first month’s rent in full before allowing anyone to move in, and it requires tenants to have renters insurance to protect their personal property. It also uses a 12-page walkthrough report, completed before a tenant moves in and after he or she moves out, takes hundreds of digital pictures to document damage, and makes regular visits to the property. It even makes clients’ mortgage payments if they desire. To find a property manager that’s right for you, start by contacting your local association of apartment owners for a list of manager-members. Look for affiliates of the Institute of Real Estate Management and the National Association of Residential Property Managers, or ask for referrals from friends and associates who also own rental properties. Performing this kind of due diligence is key, advises Doug Brien, co-founder of MYND Property Management, which oversees 3,500 units on the West Coast. It’s “just as important” as doing your homework when selecting properties themselves, he says. Of course, you’ll want to make sure the managers you are considering are bonded and licensed. Just because someone is a licensed real estate agent doesn’t necessarily mean that he or she can act as a property manager. In many jurisdictions, a separate license is required. Once you settle on two or three potential managers, check their references. Speak with several clients to get a feel for how the candidates operate. You’ll specifically want to know about whatever shortcomings the managers have, such as charging you their monthly fee whether the tenant pays his rent or not. After all, if they can’t collect, why should you have to pay? Brien of MYND says to be leery of online reviews, which he warns are “highly subjective and polarizing,” and therefore should be taken with a grain of salt. For one thing, some tenants post complaints as a tool to negotiate a better deal with their landlords, he explains. For another, some sites may not display reviews posted by people who are not otherwise active on their sites. Another aspect of the manager’s job that you’ll want to consider is how he or she reports to you. For example, do they have an online portal you can access to look at bills, rent payments and so on? In addition, your tenant should be able to report maintenance issues and pay their rent electronically. At the minimum, according to Roofstock, you should be given photos of any damage and written estimates for repairs. Once you give the OK and the repairs are made, you should receive an itemized statement of the costs. How your rent is collected will determine how quickly your share is forwarded to you. If it is done electronically, it can be deposited directly into your bank account almost as soon as the manager receives it. But if it is all done by check and by mail, it could be weeks before you get your money. Read the manager’s contract with a specific eye toward how you can cancel the manager’s services if you don’t like how he is performing. Some allow you to opt out with a 30-day notice, but others require you to remain a client for up to 90 days after you give notice you want to dissolve the relationship. Other contract provisions to study include whether you will have to pay extra for such things as legal representation, evictions and the like, how late fees are charged and who gets them (you or the manager), and how your place will be marketed to new tenants when the old ones leave.